In my last post about Hades Canyon, I looked at different drive configurations and how they impacted performance. This time I want to look at one more way to squeeze just a little extra out of Hades Canyon. It has to do with a single character in the specifications. Did I lose you? Let me show you what I mean. At first glance, they appear to be the same. Yes, Hades Canyon lists the memory bandwidth, but other than that they both support 32GB of non-ECC 2400MHz 1.2v RAM in two channels. But wait, what’s this? 2400 plus? As in MORE? As in Hades Canyon can support faster than 2400MHz RAM? Nah…couldn’t be. Let’s see. This test was made possible, once again, by the good folks at Micron, who so generously sent me Crucial memory in both 2400MHz and 2666MHz configurations. They should know I’ve been testing the…stuffing out of the memory they sent! As expected, aside from tiny variations, the overall memory scores are the same. 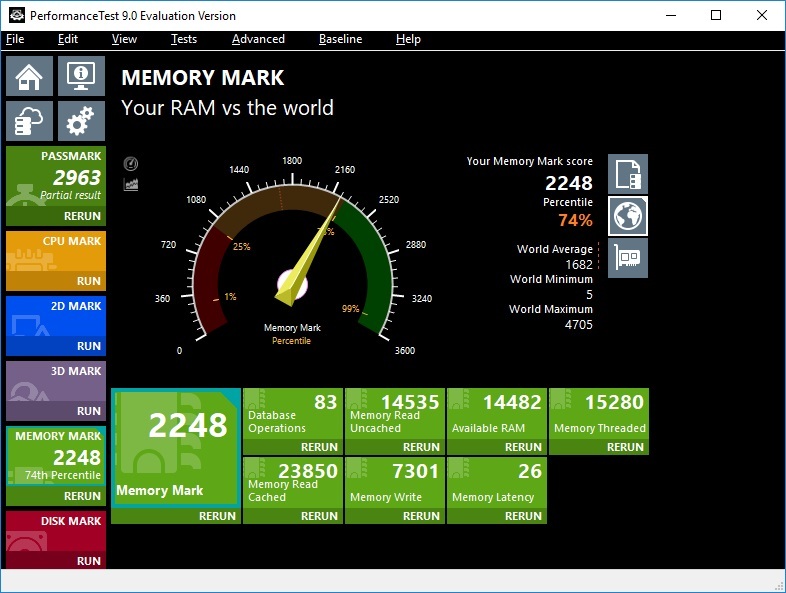 This confirms Dawson Canyon CAN run 2666MHz RAM, but it runs it at 2400MHz. No surprise there. Well Well…look at that; a pretty significant boost in memory performance. So it looks like Hades Canyon isn’t limited to 2400MHz. I’m not sure what the limit is, but it’s nice to know you can get a bit more out of your shiny new toy by running faster RAM in it.